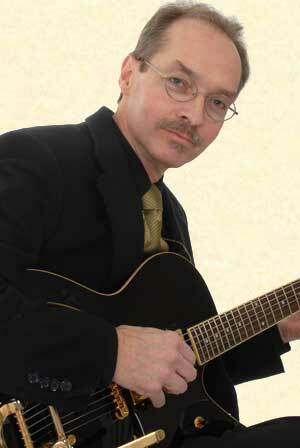 Joel is an accomplished fingerstyle guitarist and studied vocalist who has mastered the art of interweaving vocal melody with his guitar, creating a second voice as if he’s his own duet. His original songs are moving, inspiring, and clever. He’ll make you cry, think and smile all in the same set. Joel ‘s been singing for as long as he can remember and began playing guitar in 1972 after receiving a guitar for high school graduation. He then went on to study vocal performance at Webster College in St Louis, MO. While his early influences were the popular troubadours of the 60’s and 70’s, he soon discovered the sounds of Leon Redbone, the country blues of Mississippi John Hurt and vintage jazz styles as well. Joel spent some time in Boston where he performed regularly in bars, restaurants and coffeehouses. It was there that he was introduced to fingerstyle guitarist, Guy VanDuser and the songwriting and blues style of Chris Smither both of whom remain strong influences today. After moving around a lot [Nashville, Houston, St Louis, etc. ], Joel and his family landed back in New England and it wasn’t long after when he was asked to open for Alex DeGrassi at the Old Vienna Coffeehouse. Joel dabbled in songwriting all along, but didn’t get serious until he was in his mid forties, when his musical abilities and life experiences collided and the songs just began to spill out of him. In 1992, Joel and his family found a home in Ferndale, Michigan where Joel started a once a month listening room called the Acoustic Avenue Coffee House at the First United Methodist Church in Ferndale. The concerts ran for 10 years. After years of performing solo, Joel joined forces with a few talented musicians to form “The Blue Jays”. Members included Jim Nichols (harmonica/guitar) who supplied the blues, Jeff Royer (alto saxophone and bass) who brought the jazz influence, and they were occasionally joined by Andrew Palmer (Joel’s son) on drums. In late 2002, The Blue Jays disbanded leaving Joel and Jeff to carry on as a duo called, Wanderin Wheel. They performed at venues and festivals across lower Michigan with their own original blend of folk/blues and jazz. Joel continued to hone his solo performance technique at various local venues and open mics around town. A regular at The Ark’s Open Stage, he was selected as one of their “best of”, and was featured at the annual Open Stage Showcase. Festival appearances include: Nor-east’r Festival, Arts, Beat & Eats, Farm Fest, Riverfolk Festival, Who’s at First Folk Festival, Ferndale Blues Festival and Blue Sunday Festival. He’s performed at Mama’s Coffee House, The Trinity House, The Ark, Acoustic Avenue Coffeehouse, Live from the Living Room, Unity Coffee House. In addition to his busy performance schedule he teaches private guitar lessons to a small number of dedicated students.